Do you love your kitchen? Better yet, do you have a good relationship with your kitchen? Beyond the placement of major appliances or the size, do you like how things are arranged? Your spices, your cooking utensils, your pots and pans? Can you find anything you need? Do you just buy an ingredient rather than dig in your cabinets to figure out if you have it already? My dear, you need a kitchen rehab! Having a working relationship with your kitchen is as important as having a working relationship with a colleague or a business partner. To get anything productive done, you need to have clear communication and be well supported by each other. 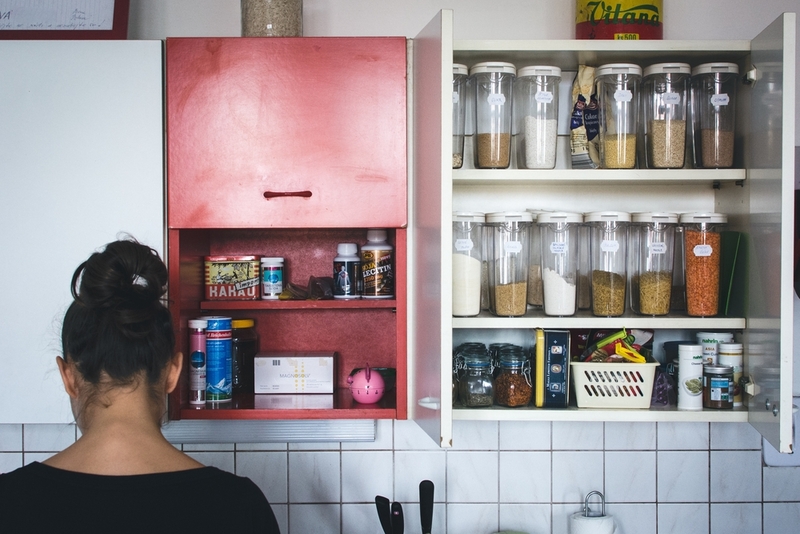 The kitchen and our pantry space are so often places laden with old food, hidden utensils, and a misorganized/misprioritized arrangement of the essentials that it can often feel like a you against them scenario every time you cook. Investing time into the flow of your kitchen allows you to feel more relaxed there. You are also now on equal footing with your space. You have a handle of where things go. You can see where things are. You know what you need to replace when things get low . . . What happens then? You use it more!! For years, we avoided the kitchen; it always seemed easier to order delivery than to deal with moving large appliances just to chop an onion and to bring out a ladder just to reach my pantry. Nancy literally saved us. In just a few hours time, she worked with us to rearrange the space, making it infinitely more manageable and approachable. We reorganized, reconfigured, and came up with a list of essential purchases to further maximize organization and efficiency. I now actually like being in my kitchen! We will take it all apart and put it back together again, better, simpler and easier than ever before!